HomeBlogLegislative UpdatesImmigration Reform on the Horizon? Immigration Reform on the Horizon? Immigration Reform appears to be on the horizon. Following the 2012 presidential elections, prominent Republicans cited loss of Latino voters’ support as a major reason for the party’s loss and issued public statements supporting immigration reform. Members of both parties have a long history of support for various aspects of immigration reform, but recent attempts at significant reform have failed to advance for multiple reasons. However, many are optimistic that this is the year Congress will finally pass immigration reform. On January 28, 2013, Senators Schumer, McCain, Durbin, Graham, Menendez, Rubio, Bennet, and Flake released a Bipartisan Framework for Comprehensive Immigration Reform. The release acknowledges that the current immigration system is broken and that there are 11 million undocumented immigrants living in the United States. They propose legislation to create a “tough but fair” legalization program for those undocumented immigrants who are currently here, while also committing the resources to secure the border and to modernize and streamline the current legal immigration system. The “Framework” cites four basic legislative pillars to ensure that the reform will be a successful and permanent solution. This pillar essentially calls for the creation of a tough but fair path to citizenship for undocumented people in the U.S. However, this would be contingent upon securing the border and tracking departures of those authorized to be in the U.S. temporarily to ensure they do not remain permanently. To secure the border, the Senators specifically refer to using the latest technology, including unmanned aerial vehicles to lower the number of successful illegal border crossings. To address those individuals who remain in the U.S. beyond the period authorized by the government, they refer to the creation of an entry-exit system that tracks whether legal visitors have left the country as required by law. The Senators’ plan would also create a group of governors, attorneys general, and community leaders from Southwest-border States to determine when the border security measures have been met. 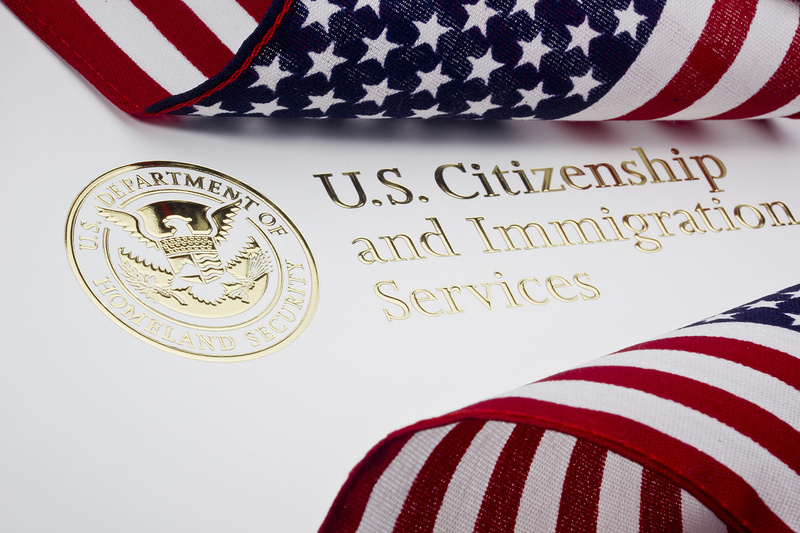 Once the group determines that the enforcement measures are met, undocumented persons would then be eligible permanent resident cards (green cards). Until then, however, the undocumented persons would earn probationary legal status, after registering with the government, passing a background check, and paying a fine and back-taxes. Further, to avoid the appearance of preferential treatment for the undocumented immigrants, such individuals currently present in the U.S would only receive a green card after the government has provided green cards to those already waiting in line for a green card at the time the legislation is enacted. Agricultural workers and those who entered the U.S. as minor children would be exempt from these strict requirements are those due to the circumstances of their entry and their vital role in the U.S. economy. This pillar aims to reform the current system to recognize the importance of characteristics that will help build the American economy and strengthen American families. The current system discourages the world’s best and brightest from remaining in the U.S. by making legal entry into the U.S. difficult, discouraging innovation and growth, and creating substantial visa backlogs that force families to live apart, which incentivizes illegal immigration. This pillar will address these issues by reducing the backlogs in the family and employment categories so future immigrants view the legal system as the exclusive means of entry to the U.S. In addition, green cards would be awarded to immigrants who receive a PhD or Master’s degree in science, technology, engineering, or math from a U.S. university. This pillar aims to create an effective employment verification system to prevent identity theft and the hiring of future undocumented workers. Employers who knowingly hire unauthorized workers would face stiff fines and criminal penalties for egregious offenses. Workers would also be required to demonstrate both legal status and identity through a non-forgeable electronic identification system crafted with procedural safeguards to protect U.S .workers, prevent identity theft, and provide due process protections. The fourth pillar would seek to establish an improved process for admitting future foreign workers to serve U.S. needs, while protecting all workers at the same time. An employer would be able to hire foreign workers if it could demonstrate it was unable to fill an open position with a U.S. worker and that such hiring would not displace U.S. workers. The Pillar would also create a program to meet the needs of the agricultural and dairy industry when it faces a shortage of U.S. workers. Depending on whether the U.S. economy is creating jobs, it would allow more or fewer lower- skilled immigrants to come to the U.S. Finally, it would protect workers by ensuring strong labor protections while also permitting certain workers—namely those who have succeeded and contributed to their communities over many years—to earn green cards. Note that no actual reform has yet taken place and the immigration laws have not changed as a result of the Senators’ announcement. It is unclear at this time how much any of the above will actually be contained in any future reform. Given the scope of the issues raised, it is anticipated that the debate and discussion of these issues will continue in the media, and ultimately in both the House of Representatives and the Senate, before any final bill is produced. Until that time, it is advisable to exercise extreme caution before proceeding with any case purported to be based on immigration reform. Please do not hesitate to contact the attorneys at Minsky, McCormick & Hallagan, P.C., for further guidance.